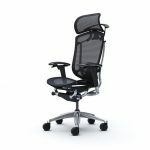 CONTESSA OKAMURA Office Chair represents the ultimate in stylish elegance that is worthy of the name. CONTESSA Chair was created by GIUGIARO Design, a leader in Italian industrial design. CONTESSA Chair brings inspiration to everyone who experiences its extraordinary comfort. CONTESSA Chair synthesizes state-of-the-art Italian design with Japanese technology. 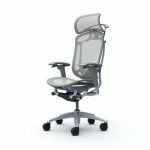 CONTESSA Chair is extraordinarily comfortable due to its soft mesh and “smart operation” ergonomics which respond and adapt to your posture. CONTESSA Chair combines beautiful and sleek frame designs with the most advanced operating functions. 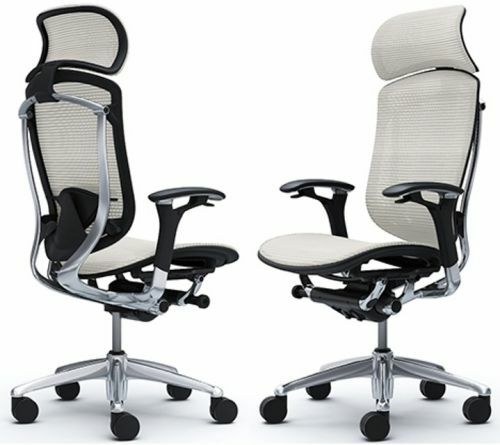 The most arressting feature of CONTESSA Chair is aluminium frame. The lightest and thinnest possible frame design sets a new standart for office seating comfort and personal style. 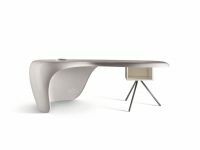 Offices all over the world are making way for the Contessa revolution in style, comfort and design. Levers at the front of the armrests adjust the seat height and reclining angle, achieving a superior level of comfort and easy of use far superior to other office chairs. Two types of headrest provide executive-style comfort and the flexibility of matching both chic environments, and more dignified environments. 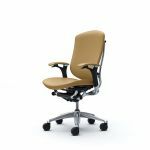 CONTESSA OKAMURA Office Chairs are available in 12 color variations of MESH and FABRIC or in 3 colors of LEATHER. You can coordinate frame, body, and seat colors to create your own unique color combination. CONTESSA OKAMURA White Leather Executive Chair.